Longtime Siesta Village property owners Jim Syprett and Jay Lancer of Sarasota have added a new parcel to their holdings: the 10,293-square-foot site where the 7-Eleven stood for about 15 years at 5232 Ocean Blvd. The two paid $1.6 million for the property, closing on Jan. 19, according to records of the Sarasota County Property Appraiser’s Office. The Southland Corp. in Dallas, Texas — the corporate home of 7-Eleven Food Stores — bought the parcel in November 1990, the tax records show. Among those other properties are the Daiquiri Deck, the Daiquiri Deck Raw Bar, Siesta Key Oyster Bar and Gidget’s Coastal Provisions. Gidget’s, which opened on March 24, 2014, stands on the former site of Napoli’s Italian Restaurant, which moved up the street to the Key Corners plaza. “It’s just a matter of finding the right tenant,” Syprett pointed out. 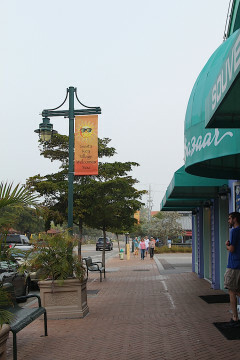 Syprett and Lancer have been investing in Siesta Key properties since the early 1990s, Syprett told me. He gives all the credit to Lancer — whom he says is very patient — for making this latest deal possible. “It was well over a year,” Syprett noted, between the start of the negotiations and the conclusion. While Syprett and Lancer are looking into possibilities for the site, its parking lot is proving quite useful. 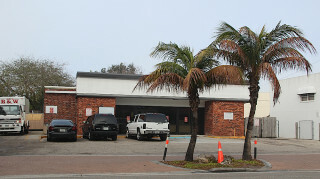 Lisa Cece, the special district coordinator in the county’s Transportation and Real Estate departments who oversees Village maintenance for the county, noted after the Feb. 2 Siesta Key Village Association (SKVA) meeting that four vehicles were in front of the empty 7-Eleven store when she passed by it that morning. “We’ll take whatever [parking spaces] we can get,” she said with a laugh. 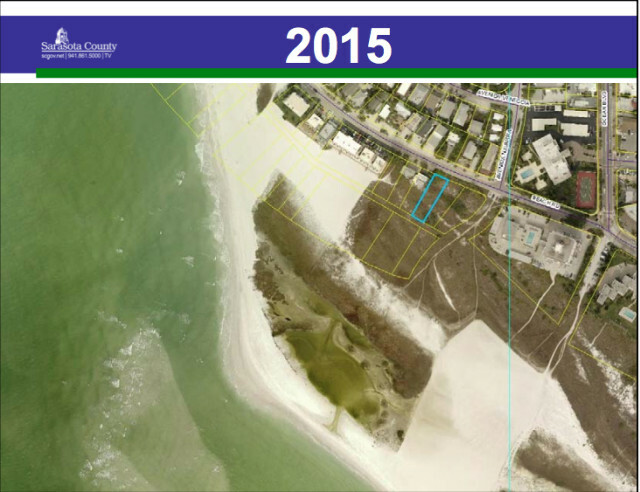 William Merrill III, of the Icard Merrill law firm in Sarasota, told me last week that he has been talking with Sarasota County staff about options for the future of the property at 162 Beach Road, owned by his clients Ronald and Sania Allen of Osprey. In October 2015, the County Commission voted unanimously for the third time to turn down a request by the Allens to build a house on the property. 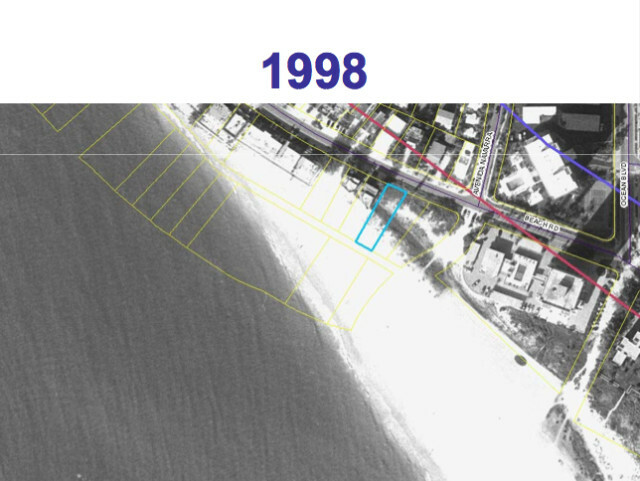 Photographic documentation has shown the site was underwater in past decades, and all of the couple’s construction would have been seaward of the county’s Gulf Beach Setback Line, which is designed to control development in sensitive environmental areas. 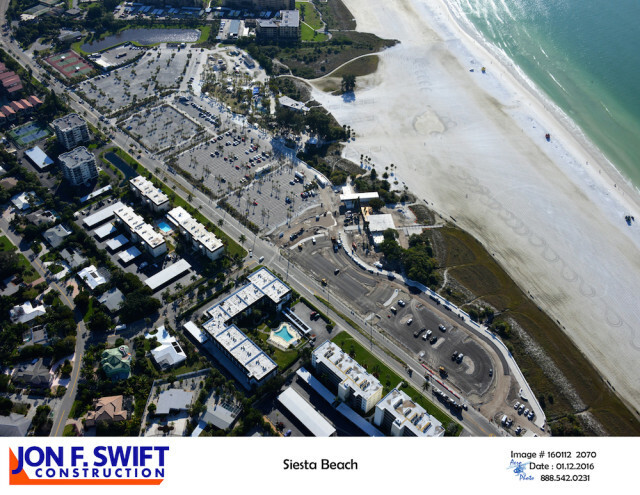 During the Feb. 2 Siesta Key Village Association meeting, Vice President Smith reminded the 13 other people present that Sarasota County staff will host the grand opening of the Siesta Public Beach Park improvements on Feb. 20. The schedule calls for the event to begin at 9 a.m. and conclude at noon, Smith noted. Additionally, visitors will have the opportunity to join a walking tour along the new esplanade “to see all of the amenities and learn more about them from guests stationed along the way,” the release notes. “The tour begins at 10 a.m., and participants can grab a special passport to be stamped at each stop, with an opportunity to win a prize at the end,” the release adds. 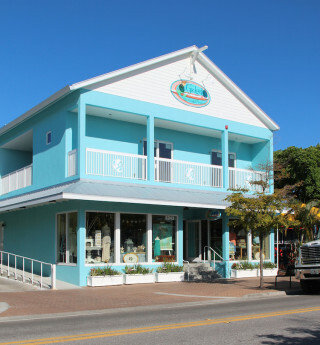 During the SKVA discussion, Smith pointed out that the set-up for groups offering information, such as the Siesta Key Chamber of Commerce, will begin at 8 a.m. on Feb. 20. He added that he was not sure whether the SKVA would like to set up a tent. “I’m trying to think of what would we have as pass-outs, and we have nothing,” Treasurer Roz Hyman responded. “What did you do with the old banners?” Siesta Key Association President (SKA) President Michael Shay asked jokingly, prompting laughter. “Thank you,” SKVA board member Russell Matthes told her. Mruczek told me informally before the meeting began that it appears the construction crew is working seven days a week. 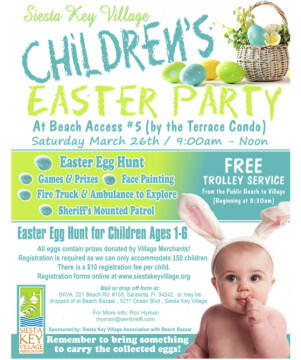 The Siesta Key Village Association will hold a meeting at 8:30 a.m. on Wednesday, Feb. 10, to begin planning for the 15th annual Easter Egg Hunt & Games, which it will host on Saturday, March 26, at Beach Access 5. As SKVA Treasurer Roz Hyman has pointed out, the event is so popular families already have begun registering their children for it. Each participating youngster — ages 1 to 6 — receives a stuffed animal and a goody bag “stuffed with prizes,” the SKVA website notes, offering a link to the sign-up sheet. “[We need to] get the ball rolling; get our eggs ordered,” SKVA President Wendall Jacobsen of Beach Bazaar told the members present for the organization’s Feb. 2 meeting. The planning session will be held at the offices of Smith Architects, located at 5032 Calle Minorga. “Please join us; it’s fun,” Jacobsen said, adding that volunteers are certainly welcome. During her report at the SKVA meeting, Chamber Executive Director Frescura said her organization’s annual dinner, held on Jan. 22 at TPC Prestancia, was “very well attended.” Mark Smith is the new chair, she added, and Aledia Tush, co-owner of C.B.’s Saltwater Outfitters, is the new chair-elect. Kay Kouvatsos, co-owner of Village Café, is the secretary, Frescura noted, while Brad Stewart of Captain Curt’s Crab & Oyster Bar is the treasurer. During the annual dinner, Frescura continued, four businesses received special Community Partner awards: Captain Curt’s, Village Café, the Daiquiri Deck and Mattison’s Forty-One. Large Business of the Year: First Watch Restaurants. Small Business of the Year: Sassy Hair Salon. Business Person of the Year: Michael Lewis. Sharon Cunningham Visitor’s Center Volunteer of the Year: Ardith Tromley. Volunteer of the Year: Mike Gatz. Shining Star of the Year: Lance Harden. Maio and Caragiulo — a former Sarasota city commissioner — both were elected to the county board in 2014. When Sarasota County Sheriff’s Sgt. Jason Mruczek offered his report during the Feb. 2 Siesta Key Village Association meeting, he said the cold weather last month “kind of slowed things down,” so officers were not as busy as usual for that time of year on the Key. A second incident apparently involved a trick one person was playing on another, he said. 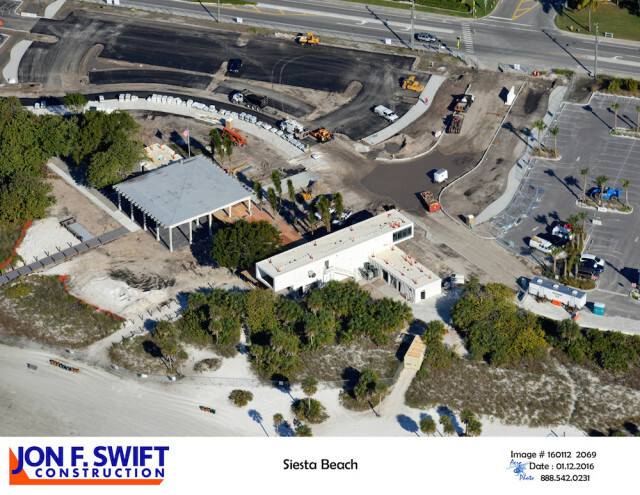 On Feb. 16, the Siesta Key Condominium Council will host its next meeting at Siesta Key Chapel. 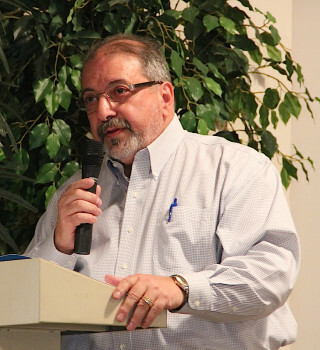 Mike Angers, vice president of Brown & Brown of Florida Insurance, will be the guest speaker. Brown is scheduled to provide an overview of the insurance market; address legislative changes related to insurance; and respond to insurance-related questions about the tornado damage last month at Excelsior Beach to Bay. The session will begin with registration and refreshments at 3 p.m. in the Fellowship Hall, followed by the meeting at 3:30 p.m.
Siesta Key Chapel is located at 4615 Gleason Ave., east of Siesta Village.